(MENAFN - Gulf Times) Huawei Consumer Business Group (BG) announced yesterday that Tipa General Assembly has recognised the Huawei P30 Pro as one of the ‘Best Products of 2019', awarding the device the honour of ‘Best Photo Smartphone'. For the third year in a row, the prestigious title has been awarded to a Huawei P Series flagship, proving Huawei's dedication to constantly improving quality, performance, and design to change the world of mobile photography. Changzhu Li, vice-president of Handset Business for Huawei Consumer BG, said: 'Camera experience has always been the focus of Huawei's strategy for the Huawei P Series. We would like to thank Tipa once again for honouring our latest flagship P30 Pro. 'Equipped with the Leica Quad Camera, the Huawei P30 Pro rewrites the rules of photography with a host of innovations, including the revolutionary RYYB colour filter array and extreme 5x optical zoom, improving photography experience at a fundamental level. Advances such as these give consumers more freedom to use Huawei devices to record the most exciting moments in life as they happen. Representatives from photo and imaging publications from around the world confirmed the Huawei P30 Pro stands out from the competition following a rigorous course of nominations, testing, and comparisons. The flagship's Leica Quad Camera System, sporting a versatile 40MP Huawei SuperSpectrum Sensor and 20MP ultra-wide camera, alongside a stabilised SuperZoom lens leveraging proprietary optics design, provides clarity and zoom never before seen on a mobile phone. The official citation of the P30 Pro from the Tipa General Assembly commented: 'Incredible low light performance and focal length options. The P30 Pro is dubbed a ‘quad camera' with numerous imaging options. The primary camera has a 1/1.7 40MP sensor that yields 10MP images. The optical stabilised lens has a 27mm (equivalent) focal length and maximum f/1.6 aperture, plus there is a 20MP 16mm (equivalent) super-wide option, a stabilised 5X (125mm equivalent) periscope style telephoto lens with folded optics, and a fourth PDAF 'time of flight AF sensor. 'The P30 Pro can cover an incredible focal length range thanks to a ‘super-resolution' algorithm that combines several RAW images into one high-res image that is then cropped to produce a 50X zoom effect. Low-light capability is equally impressive, with a top ISO of 409.600 that can capture exposures in near darkness, which is claimed to be 40% more light sensitive than a standard RGB sensor, delivering the best low-light performance of any smartphone camera to date. 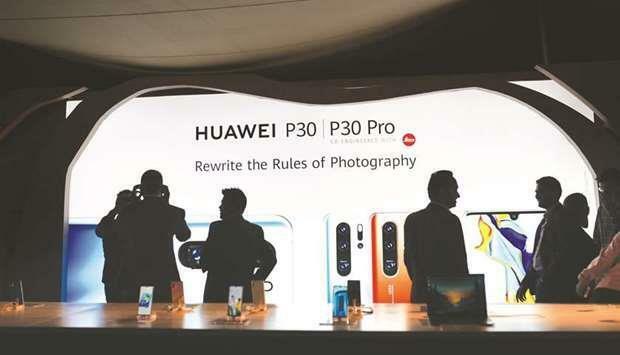 Tipa chairman Thomas Gerwens said, 'Huawei, together with Leica, is pushing the limits of smart photography again with the introduction of the new P30 Pro and enables users to shoot photos and videos in fantastic quality. With the Huawei P30 Pro, Huawei has once again proven itself to be the benchmark for smartphone photography. Providing the best low-light performance of any smartphone camera to date, as well as class-leading zoom capabilities, this handset was awarded the highest score in the history of DxOMark, the industry standard for camera and lens image quality measurements and ratings. The impressive 112-point score highlights the significance of Huawei's dedication to research and design, especially in providing an ultimate experience for smartphone photography.